What Did Jesus Actually Teach About Divorce and Remarriage? 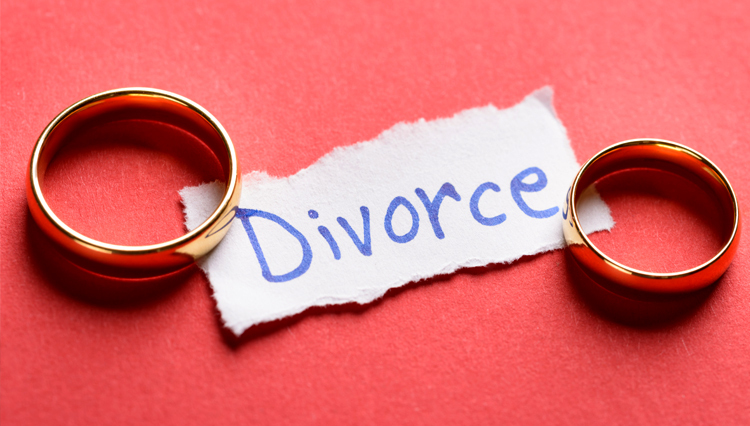 What did Jesus actually teach about divorce and remarriage? Hi, welcome to today’s Little Lesson, this is another special Cuba edition. I’m so blessed to be here on behalf of the Ministry of Heaven’s Family, checking up on a number of different projects that we’ve been involved in here. I’m happy to report that we’re blessed to be supporting native evangelists, who are winning literally thousands of people to Jesus as the level of receptivity towards Jesus here is really almost unlike anything I’ve ever seen in four decades of ministry all over the world. It’s a huge honor for me to be here and be talking to those who are a part of that revival and hear the reports firsthand. We’re doing safe water projects here, and microloan projects, and working with the prison chaplains in drug rehabs and so forth. The Cuban Christians are vibrant, alive and full of the Holy Spirit. It is a blessing for me to get to be with them here for a little more than a week. In any case, broadcasting from Cuba, doing the Little Lessons and we’re working our way through Matthew Chapter 5, Jesus’ you have heard, but I say to you statements. I’ve saved the one that I’m going to start today for last about divorce and remarriage because I think it’s very helpful to have looked at the context of this statement we’re about to read in light of the other five you have heard, but I say to you statements. In every case now, in all five that we looked at so far, I think it’s indisputable that the counterpoint that Jesus gave was clearly not a raising of a higher standard from the Law of Moses, wasn’t a correction of his own morality that was reviewed in the Law of Moses. But rather it was a correction of the false teaching of the Scribes and Pharisees of Jesus’ day, who perverted the word of God, all right? If this is the first Little Lesson you’re ever watching, you’re missing out on, excuse me, a lot, a lot of context. Because with that fact in mind that in every case where we read Jesus’ counterpoint that we could find the identical ethic, the same morality, the same standard under the Law of Moses, then that helps us understand that there’s a very good chance that what we’re about to read, about divorce and remarriage is not a new standard, but rather, like the other five you have heard, but I say to you statements, a simple revelation of what was true all along, true under the Law of Moses, and true before the Law of Moses. Because morality is morality, ethics are ethics. God gave everybody a conscience. The Law of Moses was given after the Exodus, Israel’s exodus from Egypt, do you think there was no morality before then? Of course there was. God gave every human being a conscience, so when he gave the Law of Moses this tiny little sliver of people who are descendants of Israel, He had no moral expectations of anybody else besides them, are you kidding me? He had moral expectations of everybody from the time of Adam. He wrote basic fundamental ethics in their heart. Everyone has always known you should love your neighbor as yourself. It’s amazing that the Scribes and Pharisees could take the Law of Moses and pervert it so it transgress what everybody knew by instinct in their conscience. Finding loopholes by their perversion of the Word of God, and we’re going to read one momentarily. If you read it honestly, it’s going to totally blow you away. But I’m going to submit to you that the standard, the ethic, the morality that Jesus espouses here in these words about divorce and remarriage, it was true under the Law of Moses, because God doesn’t change, fundamental morality doesn’t change, because God doesn’t change. Here we go. Matthew 5, verse number 31. “Jesus said ‘It was said,'” and here we quote now, “‘whoever sends his wife away, let him give her a certificate of divorce. '” Now, did he say God said? Did he even say the bible said? No, many of these cases he said, “you have heard, you have heard.” But in this case he said “It was said, whoever sends his wife away, let him give her a certificate of divorce.” I’m going to ask you, do you think you can find that statement anywhere in the Old Testament? I submit to you, you can’t. You can find something about a certificate of divorce, sure, Deuteronomy Chapter 24, we’ll read that in a future Little Lesson here as we progress in this subject. But nowhere, nowhere anywhere can you find anywhere in the Old Testament where God said whoever sends his wife away, let him give her a certificate of divorce. But that’s what the Pharisees and the Scribes were emphasizing, a very lacks morality concerning divorce, where we’ll read in another Little Lesson coming up here, where the Scribes and Pharisees asked Jesus a question, “Is it lawful to divorce your wife for any cause at all?” Because they believed it was. Divorce is the easiest thing, and they’re justifying it because of their perversion of what God said and all they’re emphasizing is when you divorce your wife, just make sure you give her that certificate. That’s the important thing. But no qualms about divorcing your wife. They actually had a list, this is history, they actually had a list of lawful reasons to divorce your wife. Because you found something indecent about her, because that was a little word that you find in the Law of Moses about a guy that divorces his wife, he finds an indecency in his wife, and he divorces her. We’ll read this eventually. The Pharisees were honing in on that word indecent, “Well, what could make my wife indecent?” They had all kind of things that could make one’s wife indecent and then give one a justification to divorce her. One of them was is that he saw another woman who was more attractive to him than his wife. If you can believe it. That’s the truth. So you can see, these guys are so far from anything close to a biblical morality, loving their neighbor as … so far, so far. Just perverted religious people. Jesus is not quoting himself, not quoting the Old Testament, quoting the Scribes and Pharisees, the popular teaching of the day. Make sure you give that certificate when you divorce your wife. He says “But I say to you,” and he’s going to say to them what he would’ve said to them 1000 years earlier, 2000 years earlier, it’s always been true, “I say to you, everyone who divorces his wife except for the reason of unchastity, makes her commit adultery, whoever marries a divorced woman, commits adultery.” Now we’ll have to wait until the next Little Lesson to go into detail in that. Thanks for joining me. God bless you.